Say goodbye to the 5W iPhone adapter and hello to much faster charging. iPhone fast charging is possible with the 2017 models, but it’s a seriously underutilized feature because the devices don’t come with the right adapters. But Apple is reportedly going to ship the 2018 iPhone models with the adapter and cable needed to get a 100% charge much quicker. It’s one of the puzzles of last year’s devices. They support USB-C fast charging, but come with USB-A adapters that take much longer. 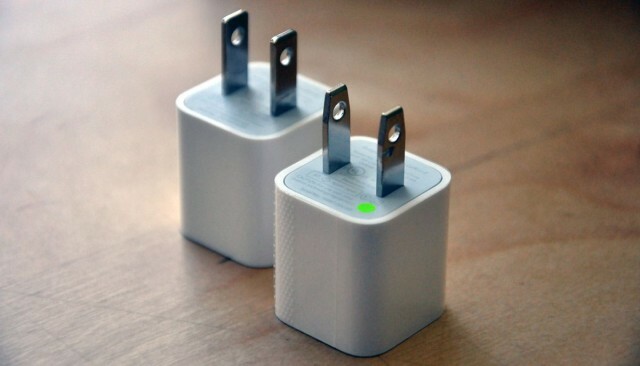 But an unconfirmed report from Weibo indicates that this year’s iPhone models will come with 18W chargers. A Lightning-to-USB-C cable will also be included. It’s not clear if this also includes any 2018 iPad models. Still, they’d benefit as well. They currently come with 12W adapters. The rumored 18W adapter offers more than three times as much power as provided by the current 5W iPhone USB-A charger (Math!). It’s a 50 percent increase over the 12W iPad charger. That said, it’s less powerful than the 29-watt, 61-watt, and 87-watt USB-C power adapters that Apple already sells. But at some point, more wattage doesn’t lead to quicker charging. Tests by Gizmodo showed that charging an iPhone X with a 12W iPad adapter was about twice as fast than a 5W one, but using a 29W USB-C adapter was only about 25 percent faster than the 12W one. Using the 61W adapter saw little or no improvement. Still, anyone using a current 5W iPhone adapter should see a really significant breakthrough in charging times if Apple really does bundle an 18W USB-C adapter with the 2018 iPhone models. This might make up for the Lightning-to-headphone adapter being dropped from the 2018 iPhone. There are supposedly the adapters that will bring iPhone fast charging.